The Magic of Long Tail Keywords and how YOU can learn to use them! So by now most of us know that using keywords in our content is super important to attract of organic traffic but did you know that using long tail keywords can bring you better qualified traffic? It’s true – simple tweaks of your basic keywords can bring much more specifically targeted potential customers right to your door. Keywords are words that people enter into search engines to look for content. When a provider offers content that contains those keywords, search bots identify those pieces of content and offers them to the searcher as an option through a search engine such as Google, Bing, et al. But there is SO much content and everyone is competing for the same basic keywords! Plus, search engines guess at what you are searching for based on your recent search histories, the context of the keyword and lots of other things that make up that search engine’s algorithm. It can be difficult to rank content on a search engine high enough up in the search results to be able to be seen, let alone bring those people to your site. But never fear – there’s an easy way to “hack” this issue and it’s effective and legal and sometimes a little bit fun! This is the use of what are known as “long tail keywords”. Long tail keywords are a group of words – usually three to four – that form a search phrase and are much more specific than just a word or two. Using long tail keywords does bring you less traffic BUT the traffic that they do bring to your door are users who are looking for exactly what you offered and thus are that much more likely to engage with you. Here’s an example. Let’s say you have a recipe in your latest cookbook for sale for the very best gluten free, dairy free chocolate cake on the planet. The keyword “chocolate cake” has 90,500 people searching per month for results. Not a lot of the people who enter “chocolate cake” in their search engine are going to be looking for your specific recipe, assuming you could even rank high enough in the results for them to see you. Typically, the higher the number of searches for a word or phrase, the higher the degree of competition there is to outrank your competitors. Now, “Gluten free chocolate cake” has about 4,400 people searching, which is better. “Gluten free dairy free chocolate cake” has just 320 people per month looking for results and “gluten free dairy free chocolate cake recipes” just 50. These numbers are a lot less than the 90,500 which, at first glance, might seem disappointing. However, consider this. Someone who bothers to type in “gluten free dairy free chocolate cake recipes” is clearly looking for exactly what you are offering! And since this long tail keyword is so specific, there is not a lot of competition for it so your ability to rank high enough in the search engine results is pretty good! How do you find or create long tail keywords? First, consider your topic and be as specific as you can when identifying the phrase for which you want to optimize your content. 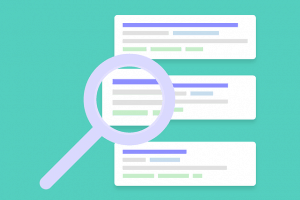 Enter it into your favorite keyword research tool and compare the results of what you entered with the variations offered. Choose the phrase that best identifies what you are offering – sometimes some wordsmithing is necessary to make the keyword fit your writing – and be sure to enter that long tail keyword into your website’s SEO management tool. Choose the phrase that offers the highest number of search results compared to the lowest competition score. This will give you the sweet spot between the highest amount of specific traffic and the lowest degree of competition. SEO can be scary and hairy and frustrating but people who regularly use long tail keywords not only gain the “trust” of the search bots and attract organic traffic to their sites but also are able to more readily engage with their audience. The more specific you can be using your long tail keywords the more likely you are to attract interest from people who want exactly what you have to offer and thus the more likely they are going to be to follow your call to action. All through the magic of long tail keywords!